Hey friends. I haven’t been posting much lately, but I blame that on a combination of a humongous magazine deadline and serious dieting. I’m finally done with my deadline, so I figured I’d share one of my greatest diet recipe triumphs ever. Ok, so I know that diet and cookies don’t seem to belong in the same sentence. And in most cases I’m inclined to agree. But sometimes even a serious dieter needs a treat, and if you’re going for a treat, this is a less guilt inducing option than most cookies. 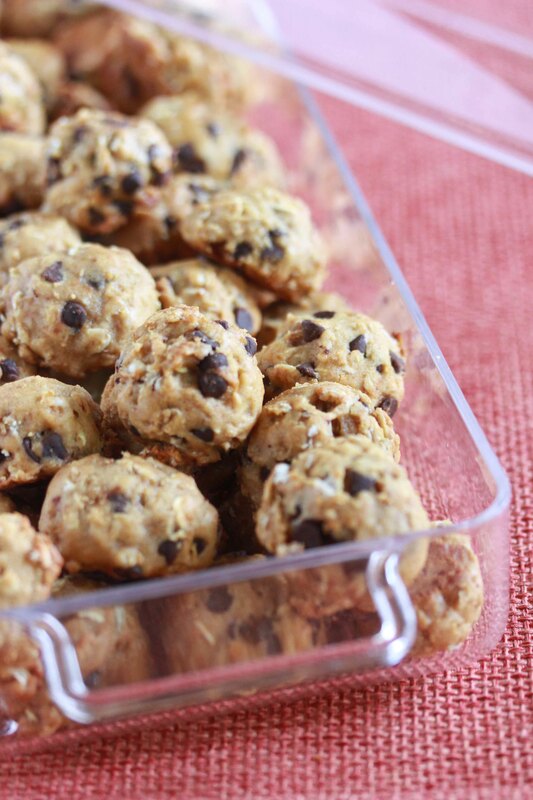 There’s a secret ingredient in these cookies that gives them a phenomenal texture and an added bit of protein. Don’t let it scare you off though, because these cookies taste dee-lish-us. Preheat the oven to 375. Grease or parchment line a cookie sheet and set aside. In the bowl of an electric mixer, beat together the white bean puree, oil and agave syrup until combined and slightly thickened. Add the eggs, one at a time, and the vanilla extract, beating well to combine after each addition. In a small bowl, whisk together the flour, oatmeal, sweetener and baking soda. Slowly stir into the wet mixture until just combined. Stir in add-ins. Using a small cookie scoop, or a teaspoon measuring spoon, drop the dough onto the prepared cookie sheets. You can place them pretty close together as they barely spread. Bake at 375 for 8 minutes. *To toast the oatmeal, spread it on a cookie sheet and bake at 350 for7-10 minutes, until lightly browned. Be careful not to over-bake. sounds really good but where would i get the pureed white bean? Purée from a can of white beans. I added it to the recipe above. Why do you have the splenda along with the agave? Could you use more of the agave or would it have to be a crystallized version of a sweetener? I’m not a fan of splenda, but the recipe otherwise looks delicious. The extra liquid isn’t good for the texture, but you can use truvia, xylitol or any other dry sweetener. Great. Must try these. How do you puree the beans? I don’t have a blender but I have a stick blender and a large cuisinart food processor, which do you recommend? And do I really hafta toast the oatmeal first, most oatmeal cookie recipes start raw? Toasting the oats makes all the difference in the flavor. I toast them in all my oatmeal cookies, but in this case it really is important. 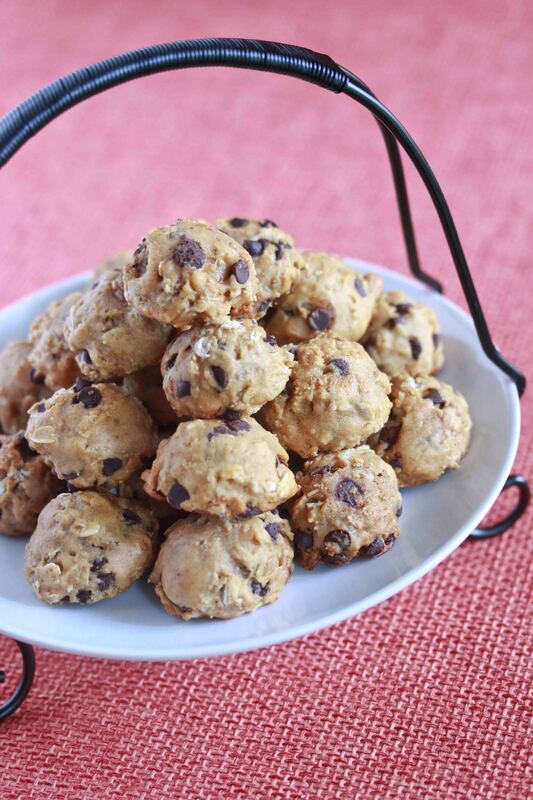 Do you know the caloric count of these cookies and what the serving size is? Sorry, not sure. You can plug the ingredients into calorie counting sites and they’ll give you the info. I plugged it into myfitnesspal but dont see a yield on here. How many does the recipe make? I’ve been searching for those beans ever since you posted your roasted red pepper soup recipe and haven’t found them anywhere!! Where’d you pick them up from? I’ve found cannelini beans at Whole Foods. They sell them at my local grocery stores. I knew it was beans! I just knew it. Yay for healthy desserts! high in calories, Between the beans, syrup,flour and oatmeal, its a lot of carbs. Zilpah, these aren’t meant to be very low calorie, but they’re definitely a better option than standard cookies. And the ingredients are more nutritious than those in standard cookies. These sound great! I love that you added white beans for extra protein. Definitely going to play with this recipe soon! Irene, it makes all the difference! 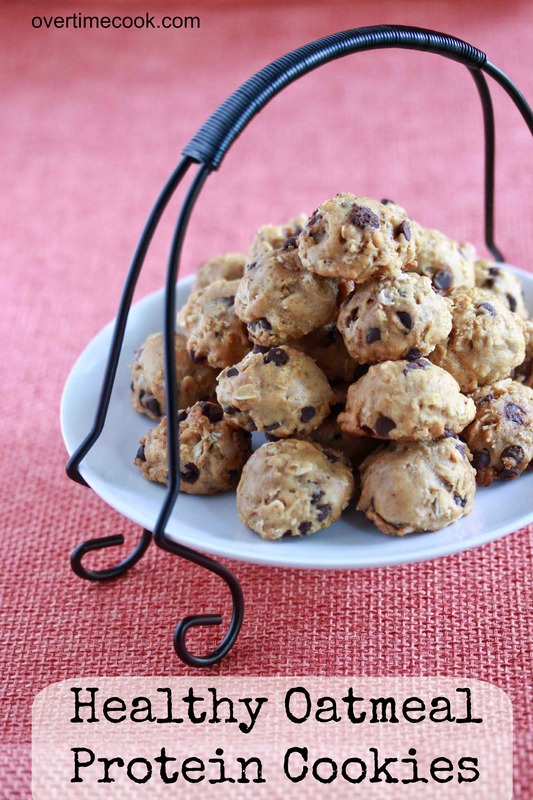 What an interesting recipe – the white beans are such a unique ingredient in these cookies! These look awesome! Love the extra-healthy twist with the white beans! Waiting eagerly for Shavuos-inspired recipes! Have you ever found (or done) a recipe for cheese florets? Made them. Not bad but too fluffy for cookies IMO. I think I would do this recipe again but instead of making cookies I’d do either muffins or dump the whole thing in a cake pan and call it cake. They just don’t feel like cookies to me. Do these have a healthy taste? Wondering if my super picky kids will pick up on the beans? Looks delicious!